While adhesive-retained full arch dentures provide patients with missing teeth some benefits, they are a long way from truly feeling like your natural teeth. 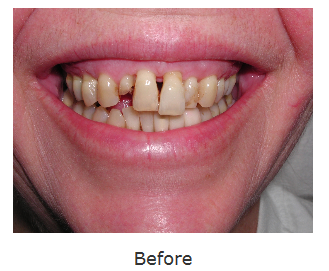 Securing your smile with dental implants is a comfortable alternative to traditional dentures. To learn more about implant-supported dentures, call our office today at 604-539-9374 to schedule a consultation. Removable Implant Dentures – While these replacement teeth can still be taken out daily, they are secured by snapping into implant attachments. As few as two dental implants are placed and special locators are added, which acts as an anchor for your dentures. Simply snap your dentures on and off as needed for cleaning. These dentures are significantly more secure than the adhesive variety, while still allowing you to take them out each night. Fixed Dentures with Implants – For patients who prefer non-removable teeth, Saidi Dental Group provides permanent implant dentures. Using more implant posts, your prosthetic is permanently secured and is only removed by our dentists for routine cleanings. This is a hassle-free and natural-feeling replacement for your own teeth. To create your treatment plan, Dr. Saidi uses 3D cone beam imaging and digital X-rays. With these tools, he can determine areas where implants can be placed to provide dependable function and support for your denture. 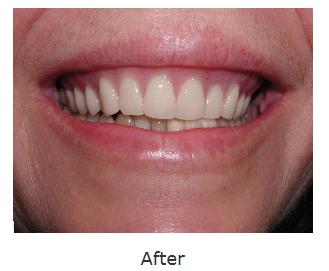 If you’re ready for a whole new smile, Dr. Saidi has helped many patients get their smiles back with this versatile procedure. Our Langley dentist provides treatment recommendations based on a precise picture of your oral and medical health. We are proud to provide stabilized dentures in Langley to help patients regain dental function and well-being. We welcome you to contact us for more information about treatment for missing teeth with implant-supported dentures in Langley by calling 604-539-9374.